Trust ARK Relocation if you need any type of domestic or commercial removal service whether it be local or moving to another country. 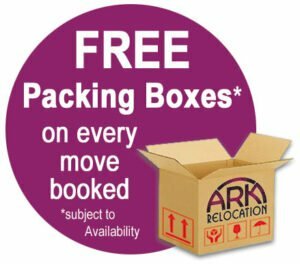 They say moving house is one of the most stressful events in life, but with a little help and some organisation from ARK Relocation – it needn’t be. With over 30 years’ experience in the removal and storage industry, the team here at ARK make it our mission to look after your items professionally and respectfully during your house move. Whether you are moving down the street, across the country, or internationally, we have the expertise to get the job done. A family run business, we take our reputation very seriously – that is why you will always find we take great care in looking after our valued customers and we will often go ‘above and beyond’ to help you with your move. 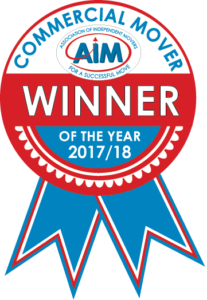 A proud family business, we take our company very seriously – that is why we are the commercial winners for 2016 and 2017/18 from The Alliance of Independent Movers ( AIM ). 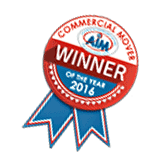 We have been recognised for our efforts by a trade association for our commercial expertise & experience in carrying out office and commercial warehouse relocation. 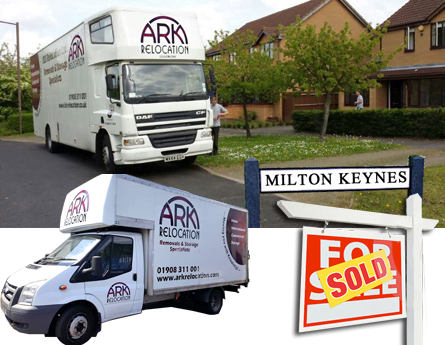 So if you are looking for a trusted and reliable company for removals Milton Keynes Contact Ark Relocation today. Our research has shown that most of our type of customers need an agency that’s honest at the same time trustworthy and reliable. 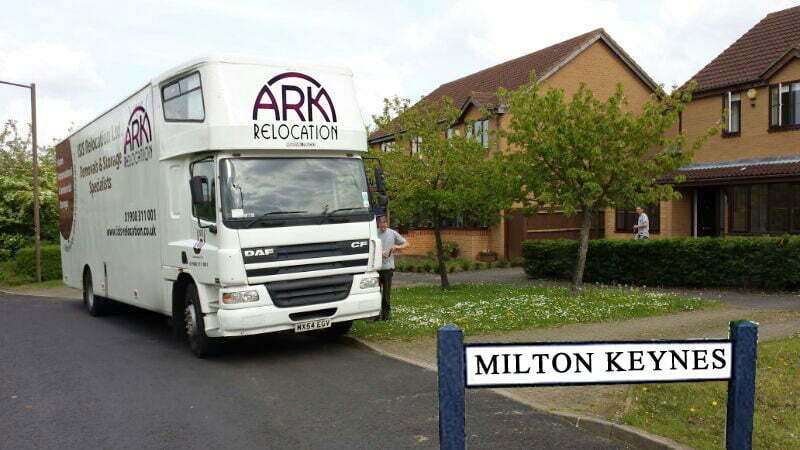 “ARK Relocations will guarantee that”. – to ensure your furniture and important possessions arrive safely at your new house. We wrap white goods and furniture in woollen blankets and have access to all the appropriate packing materials to protect your items. 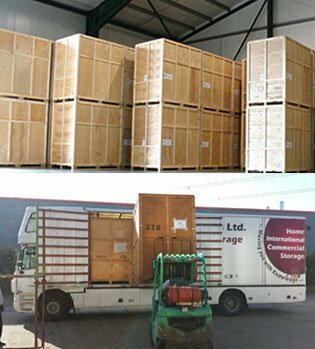 We are also trained in fine art removals and antiques packing with full export packing services for clients moving overseas. You can rest assured your most valuable items are in safe hands when moving home or office, we also offer furniture storage in our secure warehouses in Milton Keynes. 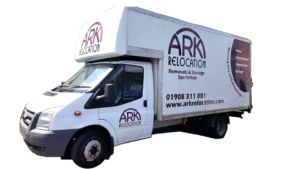 At ARK Relocation we have dealt with all types of removals over the years and can move anything from a single tricky item, the entire contents of a family home or even assist with a commercial move. Removal packages including packing services are tailored to each clients individual needs. Each customer is assigned an experienced move-manager who will be your point of contact and can answer any queries you might have about your move. If you need house or office removals Milton Keynes, Oxford, Hertfordshire, St Albans or the surrounding areas we will be happy to help. 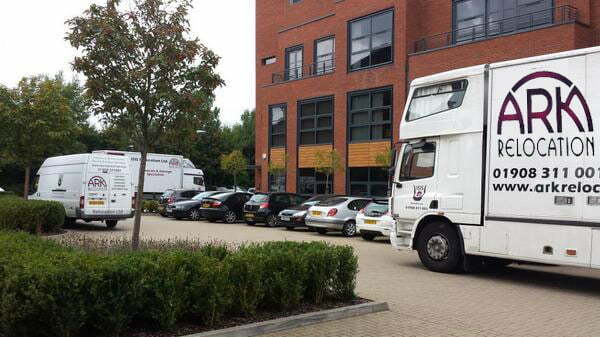 “We look forward to making the exciting experience of moving house a stress-free one for you”. We get a large number of new clients looking for a reputable moving company in Milton Keynes through recommendations, and nothing makes us happier than knowing someone was so happy with our work they would encourage friends to use our removal services. ARK understand, act and deliver a high quality and fully insured service, we are proud to be members of the National Guild of Removers, Alliance of Independent Movers, FSB and the Road Haulage Association all have set standards for our customers benefit, ensuring you of standards throughout all our removal services. 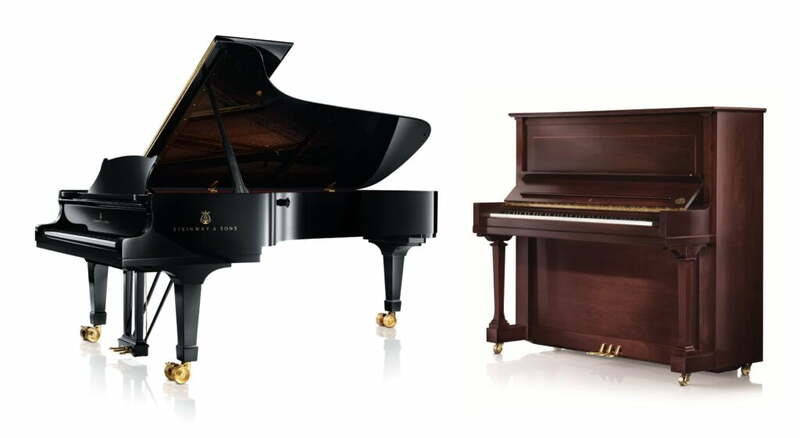 Our professional piano moving team will know exactly how to move your piano in the fastest, safest way possible. 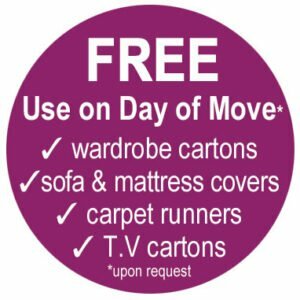 Whether you are relocating your complete household effects or just a few items, we will safely get it there.